It is built to handle the extreme conditions you face every day at work and play. As a tough, waterproof phone, you can drop it, dunk it or even forget to charge it, and the Cat S41 will keep on working for you. Don't let your life be governed by your battery life. The Cat S41’s large and powerful battery (5000 mAh) gives you 44 days standby time and 38 hours' talk time. 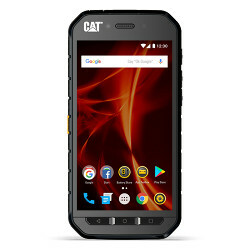 When your day takes you somewhere you’re unable to charge your phone, stay connected with the Cat S41, no matter what challenges you face. - Network bands in regions may be different, depending on the mobile operator and your location. Upload and download speeds also depend on the mobile operator.